This beautiful Copper Celtic Cross is a stunning wall decoration with a raised Celtic design. 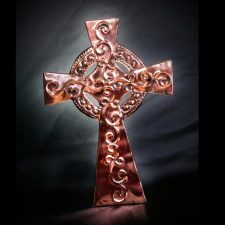 The Celtic Cross is also referred to as the High Cross, the Irish Cross and the Cross of Iona. 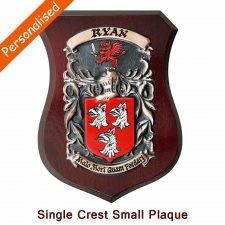 This icon of Ireland has pre-Christian origins, but is associated with Celtic Christianity, particularly at time when Ireland became known as the island of saints and scholars. 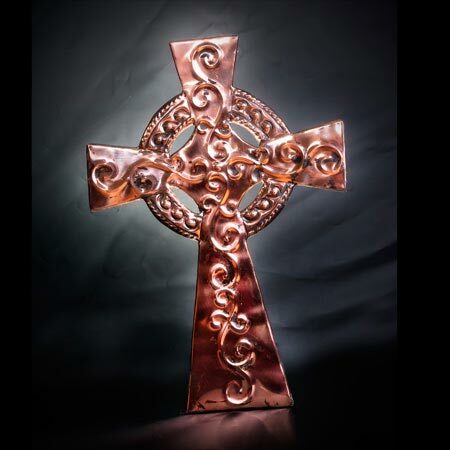 Each Copper Celtic Cross carries the signature of the artist as your guarantee of its authenticity. 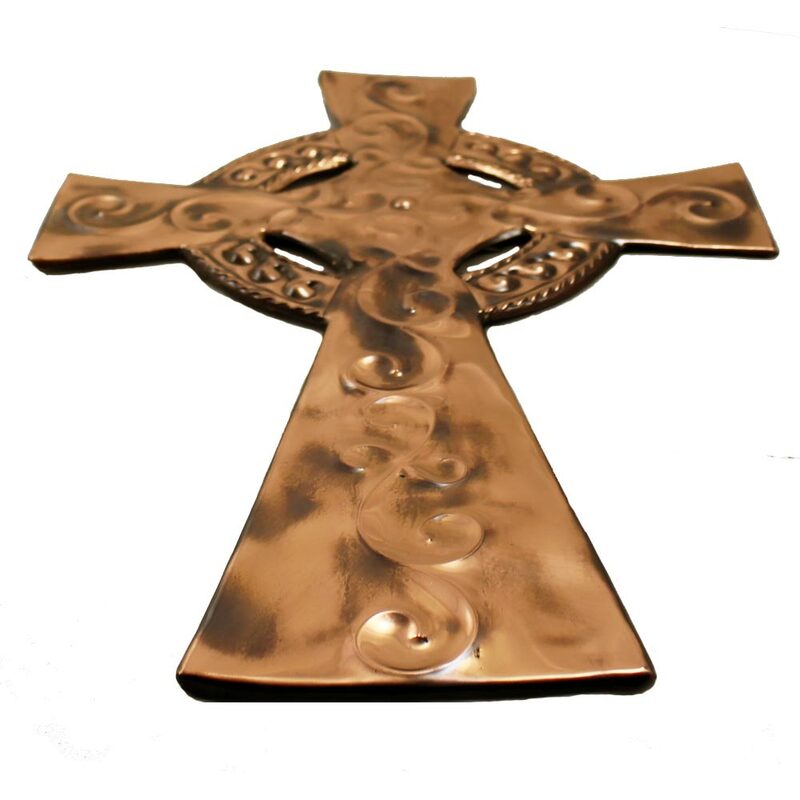 This beautiful Copper Celtic Cross is an amazing gift. Handcrafted by Michelle Cassin, Kilteel Coppercraft, Co. Longford, this Celtic Cross is handcrafted in an old tradition, polished, toned and then lacquered to preserve its gleaming finish. 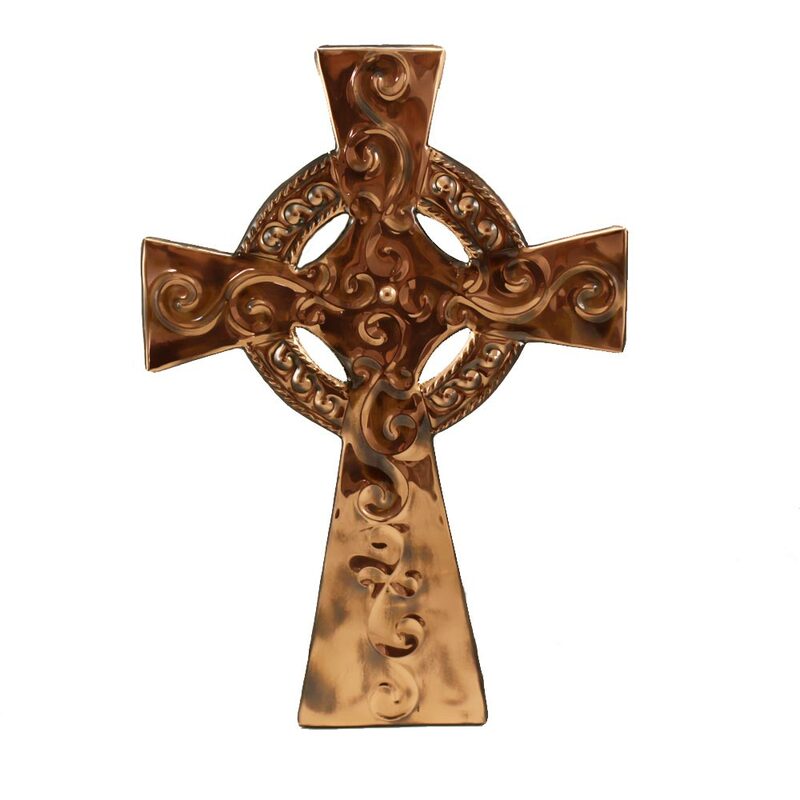 This Celtic Cross wall decoration comes ready for hanging with a molded hook on the back. 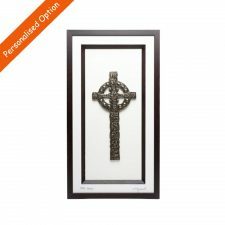 Celtic Crosses can be found throughout Ireland. 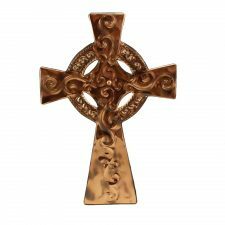 The Celtic Cross is traditionally a Christian Latin cross with a circle around the centre arms. 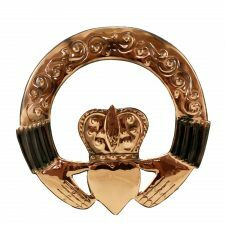 The circle and cross combination symbolises the harmony and stability of powerful divine energies of a solar life source. 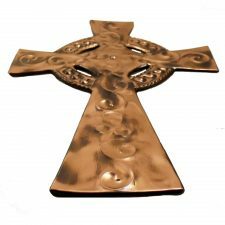 The circular shape was an important pagan symbol, by incorporating this pagan circle on the cross helped to convert pagans to Christianity, indeed some believe the idea of this Celtic symbol was first conceived by St. Patrick in an effort to convert the Druids. 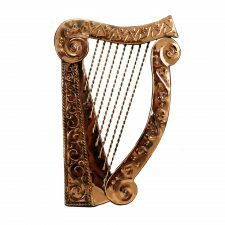 Unique copper art crafted gifts made in Ireland.